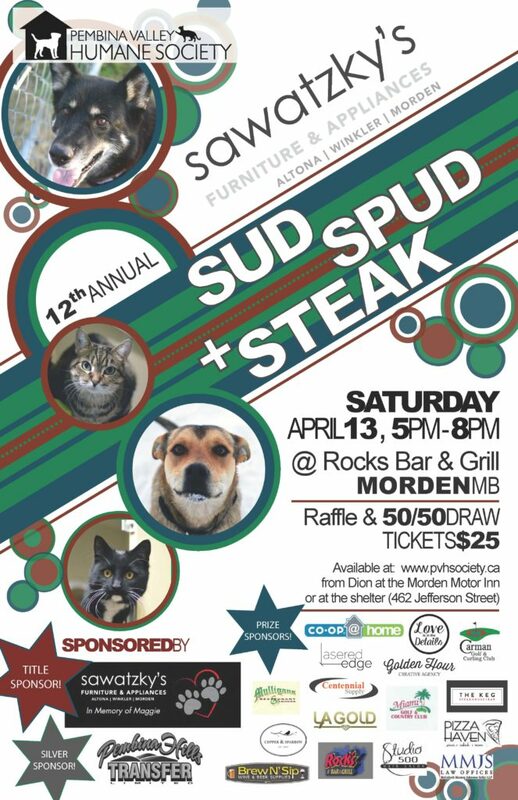 The 12th Annual Sawatzky’s Sud, Spud and Steak Night is happening on April 13th in support of the Pembina Valley Humane Society! 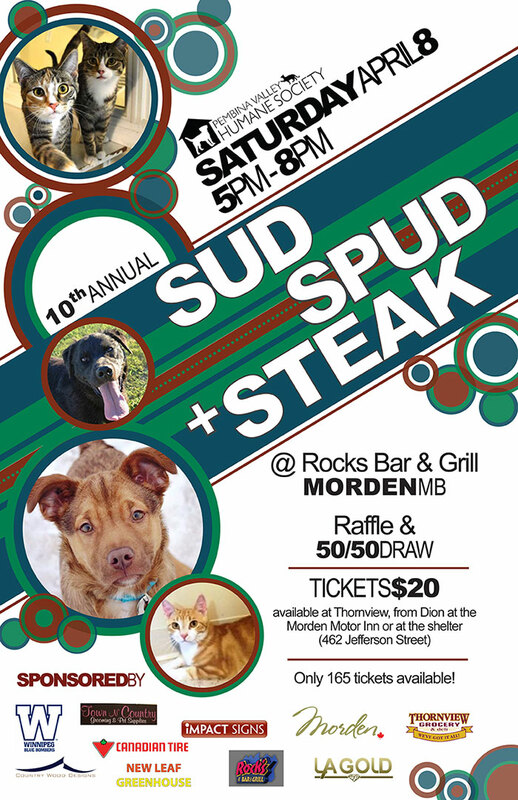 Join us at Rocks Bar & Grill for a night of delicious food, great prizes and a whole lot of fun all in support of the Pembina Valley Humane Society. Get tickets online now!